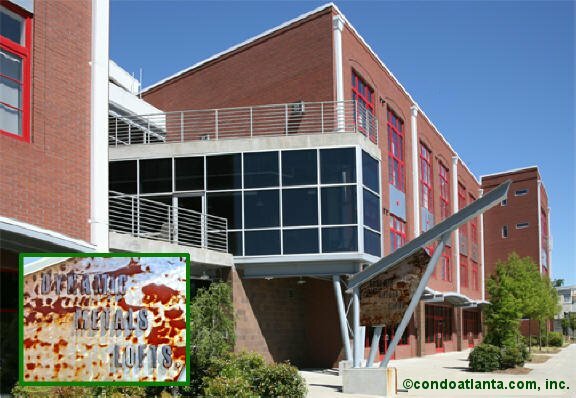 Dynamic Metals Lofts is a super cool contemporary community of urban loft homes with the authentic loft feel located on Edgewood Avenue near the Martin Luther King Center in the Historic MLK District, and the Historic Old Fourth Ward O4W. Love your home location convenient to the Atlanta Beltline. Enjoy all the benefits of a home near the Krog Street Market, the Krog Street Tunnel, the Ponce City Market, Inman Park, the Selena S. Butler Park, Springvale Park, the Edgewood Retail District. Dynamic Metals Lofts are also near Cabbagetown, Reynoldstown, Little Five Points L5P, and Historic Oakland. Homeowners enjoy an amenities package including gated security, a fitness gym, a club room, and secured parking.